Many aspiring entrepreneurs are seeking to change the way people invest in real estate, and open the world of real estate investing to a younger, more diverse, and less affluent demographic. Their business models use web-based real estate trading and crowdfunding platforms to facilitate the buying, selling, and crowdfunding of real estate investment opportunities online in ways that make trading real estate investments more like buying and selling stocks and mutual funds. Some of these startups offer real estate interests strictly for investment purposes, while others offer properties for both investment and shared use. This article will introduce some of the key structural and regulatory issues facing these new business models, and suggest approaches for launching these websites in ways that are practical for the typical cash-strapped startup entrepreneur. What are securities regulations, and why do they matter for real estate trading and crowdfunding platforms? Since the great depression, the law of the United States and most of the larger western countries has attempted to protect investors by regulating investment offerings. In the U.S., these laws are called securities regulations, and they exist at both the Federal and state level. Securities regulations are administered by both the U.S. Securities and Exchange Commission (the SEC) and separate regulatory agencies in each state. Securities laws distinguish between public and private offerings. Generally speaking, a public offering is open to all investors and can be advertised freely, and a private offering is strictly limited as to who is “qualified” to invest and how investors can be solicited. Both public and private securities offerings involve significant paperwork and compliance expense. But registering a public offering is enormously time-consuming and expensive, and is therefore practical only for sponsors or companies that have deep pockets and are raising large amounts of money. Securities law matters to real estate trading and crowdfunding startups because, very often, the characteristics of the real estate interests and opportunities these businesses wish to offer through their web platforms have characteristics that bring them under the umbrella of securities regulations. Failing to comply with the resulting securities registration requirements can subject these startup companies and/or their users to fines and even criminal penalties. In addition, these businesses can be shut down, creating huge losses and liabilities for their founders, angel investors and venture capital funders. All of these things can happen even if the startup’s real estate crowdfunding or trading platform successfully positions itself as strictly a meeting place, portal or resource through which buyers, sellers, traders or members can find each other, organize, and document transactions, and not as an originator or offeror of investment opportunities. One of the most difficult problems in securities law is determining when a particular investment opportunity is a “security” and therefor requires compliance with securities regulations. This problem often faces real estate trading platform startups and their attorneys because, ideally, these businesses would prefer to avoid the costs, complexities, and business model restrictions that result from the need to comply with securities laws. Although there is a huge body of case law addressing the question of whether particular investment offerings are or are not securities, the cases are not always consistent and the resulting law is hard to interpret and apply to new types of offerings. As a general principal, whether an investment is a regulated security depends on the extent to which the investors will be relying on someone else’s efforts to make a profit. But it can be difficult to determining when the level of reliance tips the balance toward the securities side or, conversely, when there is enough investor control to tip the balance in the non-security direction. This leaves the real estate trading platform startup entrepreneur and his/her attorney with three options: (i) seeking a ruling from a regulatory agency, which is generally expensive and slow; (ii) taking the calculated risk of trying to create a real estate trading business model that falls outside securities law; or (iii) assuming the opportunities to be offered on the platform are securities, and complying with either the public, crowdfunding, or private-placement securities regulations. How can real estate trading and crowdfunding platforms avoid securities regulations and compliance? Real estate trading and crowdfunding startups often try to create a real estate trading business model that falls outside securities law by offering real estate interests that are not securities. To accomplish this goal, these startups strive to include certain characteristics in the real estate investment opportunities offered through their platforms, such as: (i) investor control over as many day-to-day property operating decisions as possible; (ii) investor power to change managers; and (iii) no compensation based on the short or long term success or profitability of the investment. But including these characteristics in the investment structure creates a number of significant difficulties and risks. For example, giving the investors control over property operating decisions and the power to change managers can make it difficult or impossible to obtain mortgage financing, make asset management slow, inefficient and unprofessional, and force use of a legal structure under which governance of the investor group and enforcement of the operating agreement can be expensive and unpredictable. These problems are exacerbated as the number of investors increases. But having a large number of small investors is often one of the primary goals of these real estate investment opportunity trading platforms. The need to avoid having any person or company receive compensation based on the short or long term success or profitability of the investment creates an additional problem. Real estate investment opportunity trading platforms need a viable and sustainable revenue model. This can be difficult to achieve in ways that do not convert the investment offerings to securities and require securities regulatory compliance. Perhaps the most significant impediment to creating a real estate trading platform or crowdfunding business model that does not require securities regulatory compliance is the lack of certainty regarding whether the offering is within or outside of securities law. In practice, it is difficult or impossible for startups to get an attorney opinion letter that states unequivocally, or even with a reasonable degree of certainty, that the real estate investment opportunities being offered through the website are not subject to securities regulations. Obtaining a letter of this type is often critical for receiving venture funding, particularly advanced rounds of funding, because angel investors and venture fund managers want to avoid risking the losses and liabilities that can result from failing to comply with securities laws. Despite the challenges and risks inherent in trying to keep their real estate trading and crowdfunding platforms outside of the securities realm, many startups choose to follow the maxim popularized by Rear Admiral Grace Murray Hopper: “It is easier to ask for forgiveness than it is to get permission.” In this regard, they are following the model of many of the most successful and disruptive internet startups of our time, including Uber and Airbnb. What regulatory and licensing requirements apply to real estate trading and crowdfunding platforms offering investments that are not regulated securities? Real estate trading platform startups that offer real estate interests that are not securities must comply with laws governing real estate sales, which vary from state to state. At a minimum, these laws impose sales and brokerage licensing requirements that may or may not apply depending on the services offered through the platform and the company’s revenue model. 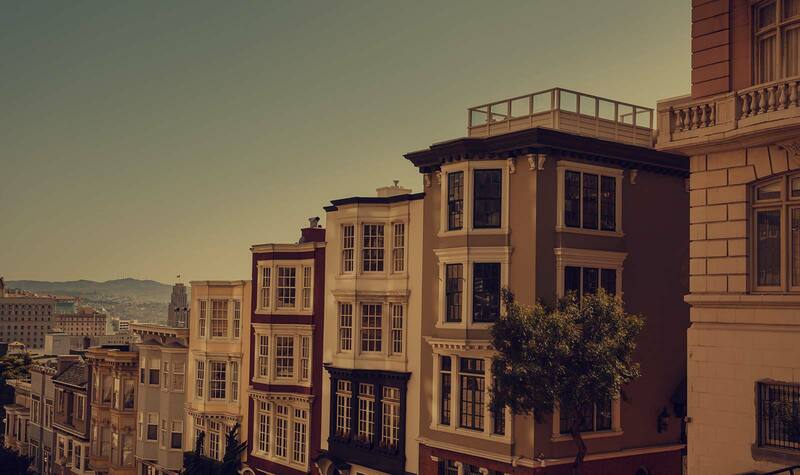 Some states, including California, also have law regulating the offering of fractional real estate interests for investment purposes even where those interests are outside of securities law. It is often unclear whether a state’s real estate sales licensing and fractional interest offering requirements apply to a website originating outside the state, meaning that the startup founders and their attorneys must try to determine which states’ laws to research and how many states’ laws with which to comply. Here again, the approach of many real estate trading platform startups is to postpone these efforts until after the new business’s site is up and generating revenue, or to ask for forgiveness rather than permission. How can real estate trading and crowdfunding platforms comply with securities regulations? As noted above, an alternative to trying to create a real estate trading platform business model that falls outside securities law is to assume the opportunities to be offered on the platform are regulated securities, and complying with either the public, crowdfunding, private-placement securities regulations. For most cash-strapped startups, complying with public offering requirements is cost-prohibitive. Moreover, a fundamental aspect of most of these business models is that the trading platforms will offer many different real estate investments at the same time, and that offerings will vary from day to day and even minute to minute. Since each real estate interest or investment offered would be a separate security with its own individual characteristics and details, each interest or investment would need to be registered as a separate public offering. Another securities compliance option for real estate trading platforms is through the newly enacted SEC crowdfunding regulations. These SEC crowdfunding rules: (i) require the platform to be registered with the SEC as a crowdfunding intermediary; (ii) limit the amount that can be raised for a particular project to $1,070,000 per year; (iii) limit the amount per year that each investor can invest based on his/her annual income and net worth; (iv) require various disclosures and a separate SEC filing for each investment opportunity offered through the crowdfunding portal; and (v) prohibit investors from selling or trading their investments within one year of purchase. These SEC crowdfunding regulations are not compatible with the business model of most real estate trading and crowdfunding platforms. The inability of most real estate trading and crowdfunding platform startups to create a viable business model that can satisfy either the SEC public offering or crowdfunding regulations leaves these businesses with private-placement as the only viable securities law compliance strategy. But private-placement offerings have their own set of restrictions and requirements that are potentially problematic for real estate trading and crowdfunding platforms, including: (i) prohibitions on advertising; (ii) requirements that each investor have a relatively high income, net worth, or level of sophistication; (iii) limits on how many investors can participate in each deal; (iv) investor disclosures and a “light” version of Federal and state filings; and (iv) the need for the involvement of a licensed securities broker/dealer. A full discussion of private-placement securities compliance strategies for real estate trading and crowdfunding platform startups is beyond the scope of this article, but I will address the two most problematic issues. Historically, offerings made under the SEC private-placement regulations or exceptions could not involve advertising or other forms of “general solicitation”, and had to be promoted through word of mouth. Relatively new SEC private offering rules create an exception under which private-placements can be advertised, but only if participation in the investment is limited to “Accredited Investors”, meaning people with relatively high annual income or net worth, or a very high level of experience and sophistication. Under current SEC private-placement regulations, there is a choice. The investment can be open to an unlimited number of Accredited Investors plus up to 35 Non-Accredited Investors, in which case it can only be promoted through word of mouth. Alternatively, the investment can be open only to Accredited Investors, in which case it can be advertised. By definition, real estate trading and crowdfunding platforms involve advertising investment opportunities to the general public and, assuming that what is being offered falls under securities regulations, this means the only type of private-placement they can promote is one that is limited to Accredited Investors. But this creates a fundamental conflict for startups whose mission is to open the world of real estate investing to a younger, more diverse, and less affluent demographic: generally speaking, the target customer is not going to qualify as an Accredited Investor. Separate and apart from the advertising/Accredited Investor conundrum, real estate trading and crowdfunding platforms wishing to comply with SEC private-placement regulations must ensure that each investment opportunity offered through their web portals complies with investor disclosure requirements, and completes Federal and state filing requirements. Generally, private-placement investor disclosure requirements are satisfied through the creation of a private placement memorandum (a PPM), which is a combination of a business plan and investor warnings. SEC private-placement filing requirements are satisfied through a relatively simple and quick online filing, but some states require a separate notification either on line or by mail. These disclosure and filing requirements, while not particularly onerous for a particular real estate investment offering, become problematic for a platform involving tens, hundreds or even thousands of separate offerings. The portal operator must decide whether to take on the burden of satisfying the requirements, or to delegate the compliance burden to those posting investment opportunities on the site. If the burden is delegated, the platform operator must determine the extent to which it will try to verify compliance as a precondition to allowing real estate interests or opportunities to be offered through the site. All of the potential approaches expose the portal operator, portal users, angel investors and venture capital fundersto some degree of risk. Is it possible to develop a real estate investment trading and crowdfunding platform that complies with all laws and regulations? The author’s opinion is that it is not currently possible to create a real estate investment trading and crowdfunding platform that complies with all laws and regulations and still accomplishes the goal of opening the world of real estate investing to a younger, more diverse, and less affluent demographic. But it is worth noting again that many of today’s most successful internet startups and disrupters have succeeded spectacularly without trying to comply with all of the laws and regulations potentially applicable to their business models.